An electrocardiogram, or EKG, measures your heart’s electrical activity. Abid Husain, MD, FACC, the board-certified cardiologist at Cardiology Now in Englewood, Colorado, offers Denver area patients superior service with EKG results the day of your appointment. Book your same-day or next-day EKG through the online tool or by phone now. An EKG measures your heart's electrical activity. Often, it's the first diagnostic step for heart problems. Through an EKG, the Cardiology Now team can determine whether your heartbeat is normal, too fast, too slow, or irregular. Sometimes, an EKG can also determine whether your heart is enlarged or overworked. When do I need an EKG? There are several reasons that you may need an EKG. If you have symptoms of heart disease, including heart palpitations or chest pain, your doctor may suggest an EKG. If you have heart disease risk factors such as hypertension or high cholesterol, you may need an EKG to check heart health even if you don't currently have any symptoms of heart disease. EKGs are done on-site at Cardiology Now. You'll lay down comfortably as your Cardiology Now care provider attaches small electrodes to your body. The EKG is painless, and it usually takes only a few minutes. You'll get results the same day of your appointment. If Dr. Husain needs more detailed information to determine your heart problem, or if your EKG results are unclear, you may need a special type of EKG, either a Holter monitor or an event monitor. 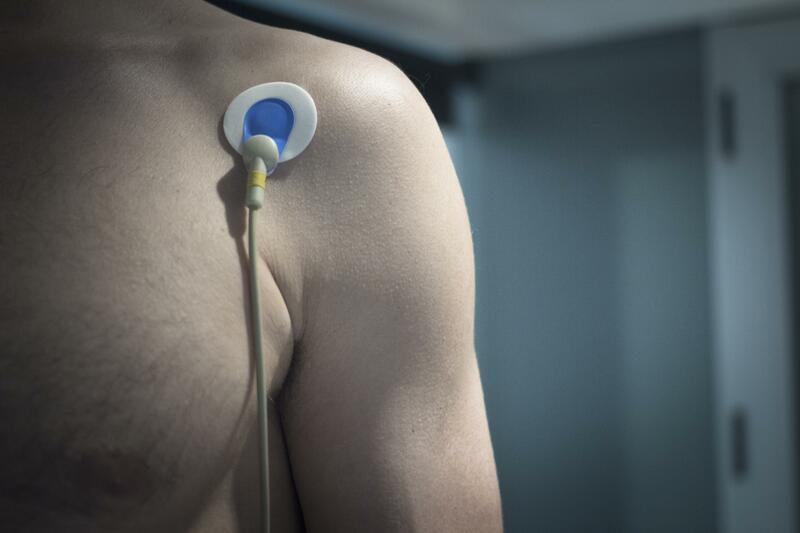 What are Holter and event monitoring? Holter and event monitors are small wearable EKG devices that record your heart activity over a long period of time. You wear a Holter monitor continually for at least 24 hours. During that time, it records all of your heart activity. You wear an event monitor continually, but it only records heart activity when there's a change of some type. Some event monitors begin recording automatically when heart changes happen, while others require you to press a button when you have symptoms like a racing heart. You may need to wear an event monitor for as long as a month. After wearing your Holter or event monitor for the prescribed period, Cardiology Now cardiologist Dr. Husain reviews that information to determine heart issues. Depending on your results, you may need further testing to get more details about your heart problem. Cardiology Now offers state-of-the-art EKGs, including advanced Holter and event monitors. To get your same-day or next-day appointment, call the office or use the online scheduler now.